In last Sunday's Herald-Leader, Cheryl Truman, with the help of many readers, listed 50 things that define Lexington. We thought it would be fun to make a similar HerKentucky list, with 10 things that define our respective hometowns. Here's Megan's list of things that define Lancaster. 1. Every town has that perfect local diner, and Burger House is ours. It's right off US 27 before you reach the Lincoln County line, and if you're passing through I simply insist you stop there to eat. Be sure to try the onion rings, and when you leave get yourself a peanut butter milkshake for the road. 2. I always smile when I see Mom Blakeman's Candy in stores around Lexington, because the business is family-owned and based in Lancaster. The original creamed pull candy is great, but the peanut butter flavor is my FAVORITE. 3. It seems like so few towns have a traditional town square, but we do. The courthouse , library, and local newspaper office can be found there, as well as a few banks, shops, and restaurants. The picture above shows the historic town square, with a circular park right in the middle of the intersection. Plans were recently approved to renovate the square and rebuld the park there. 4. Known for it's great fishing reservoirs, the 3600-acre Herrington Lake is also the deepest lake in Kentucky and spans Garrard, Boyle, and Mercer counties. 5. Like any self-respecting Kentucky town, we're proud of our football team. The Garrard County Golden Lions played in their first ever state semi-final game last year, and a huge crowd turned out for the game. Alumni from all over came in, wearing their letter jackets and cheering for the boys. It was a heartbreaking loss, 34-27, and the crowd gave the team a standing ovation at the end of the game. 6. The Grand Theater was originally built in 1925, and used to show films as well as plays. It eventually closed, and the building was rented out for various housing and commercial purposes. In 2007, renovations began to restore the building, and many of the original furnishings were returned to the theater. The project is expected to be completed in a few months. 7. 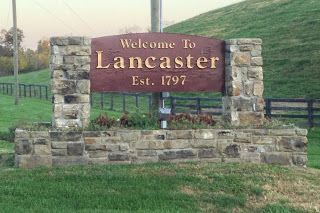 Retired teacher Jean Turner runs Hammonds Hall Bed and Breakfast in the heart of Lancaster. Hammonds Hall hosts themed tea parties throughout the year, including murder-mystery teas and princess teas. I've been to a couple of them, and there's not a more perfect person for her job than Ms. Turner. She provides costumes, will help you adopt a foreign accent if your part calls for it, and serves the BEST food. 8. 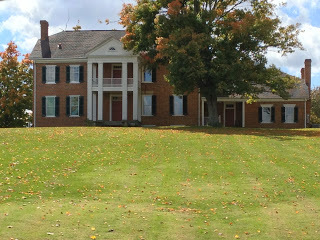 The Owsley House, also known as Pleasant Retreat, was the home of Kentucky's 16th governor, William Owsley. For the longest time, the house stood off US 27, abandoned. When I was a little girl, I always wondered what it looked like inside. (My fascination with abandoned homes is probably worthy of an entire blog post all by itself.) In 1991, several forces joined together to rescue the property, including my great-aunt Rose Holtzclaw, and restored the home. The home is now open for tours, and the carriage house can be reserved for special events. 9. Peninsula Golf Resort in northern Garrard County has been ranked as one of the best 200 courses to play in North America. The 18-hole course was designed by world-renowned designer Pete Dye. 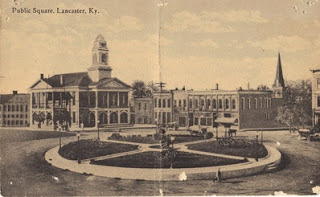 The 1957 movie Raintree County starring Elizabeth Taylor and Montgomery Clift was filmed in the area, and a few scenes were shot in Garrard County just a few miles from the house I grew up in. Carry Nation, whose radical stance against alcohol was one of the factors that contributed to prohibition, was born here in 1846. 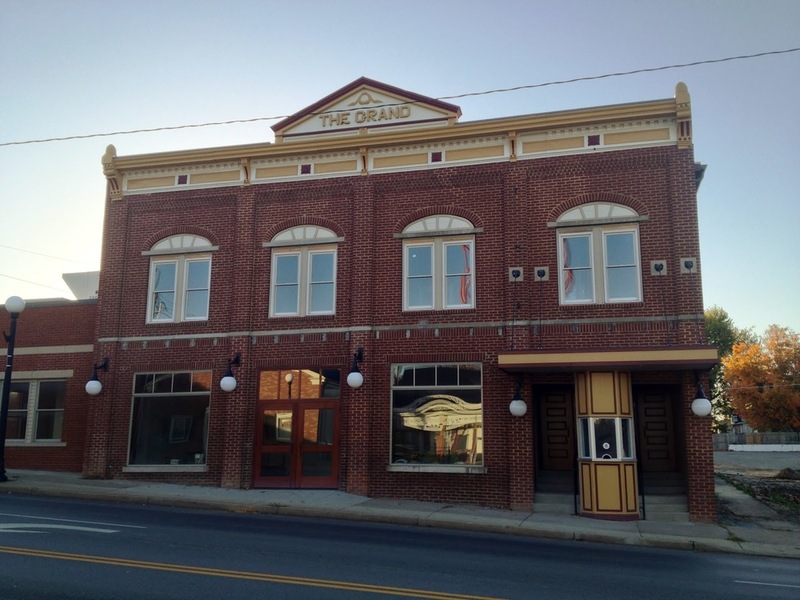 Because of this, Garrard County is known as the "Birthplace of Prohibition."